Pasa Puchah Guthi UK (PPGUK) organised their third Guthi Seminar at School of Oriental and African Studies (SOAS), London on 28 th May 2016 under the theme of ‘Newahs in Contemporary British Society’. The programme commenced with PPGUK’s Joint Secretary, Ms. Preetie Kachipati welcoming the audience and then PPGUK’s President, Mr. Kapil Shrestha, declaring the seminar open. Mr. Shrestha expressed his gratitude for everyone who attended and thanked the organisers for arranging the Seminar. The seminar focused on presentations from Newah professionals who displayed their work, projects and insight into their chosen careers. 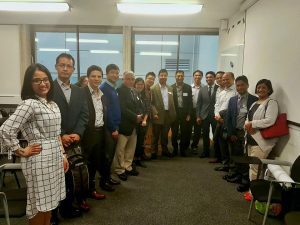 These professions included Nursing, Law, Marketing and IT and speakers included: Mr. Devendra Shrestha, Ms. Rushi Shrestha, Mrs. Ganga Kachipati, Ms. Tara Manandhar, Mr. Krishna Kishor Shrestha, Mr. Nilesh Singh and Mr. Sanyukta Shrestha. This year, the seminar also drew in speakers whose works were closely related to the April 2015 earthquakes in Nepal. These presenters comprised of Dr. Monika Maharjan, Ms. Monika Shrestha and Dr. Ananta Baidya (video presentation). In addition, this year’s seminar also consisted of two keynote speakers – Dr. John Elliott, from University of Leeds, who presented ‘Gorkha Earthquake in Nepal and the continuing seismic hazard along the Himalayan front’ and Dr. Suresh Manandhar, from University of York, who presented ‘Why Artificial Intelligence will fundamentally alter the way we interact with technology’. The seminar was structured in three different sessions. 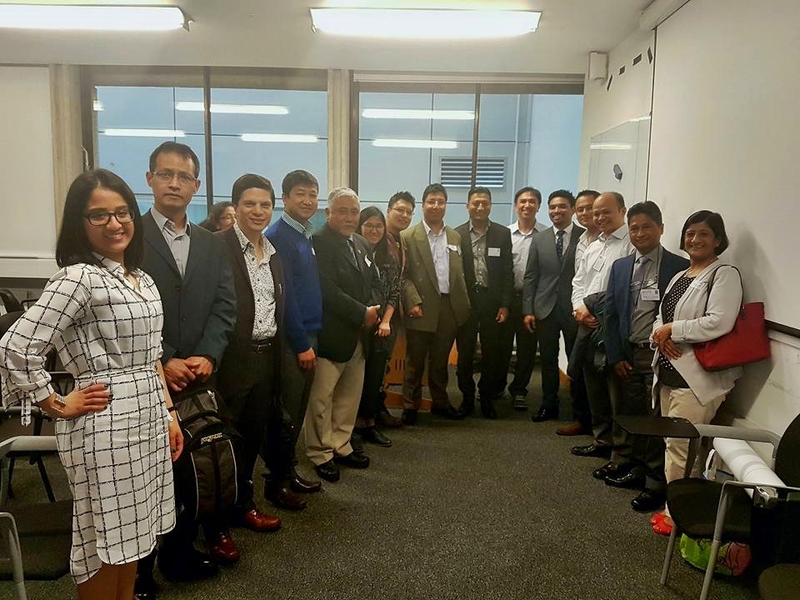 Each session was chaired by; Dr. Sabin Maskey, who is a Biochemical Engineer, Dr. Sachetan Tuladhar, a Physicists at Imperial College London, and Mr. Bijaya Bajracharya, a Civil Engineer from Bechtel Corporation currently working on Crossrail Project. Each presentation lasted between 15-20 minutes followed by 5 minutes of a question and answer session. Poster presentations were also pitched by Ms. Preetie Kachipati, Ms. Bebina Mali, Mr. Ojesh Singh, Ms. Shradha Maskey and Ms. Tribeni Gurung. Mr. Singh also presented a mentoring scheme, which is going to be run by PPGUK. This is a Scheme to help young people in the community develop their personal and professional lives by allocating them Mentors. The Scheme has already got 5 pairs of Mentors and Mentees. There is a kick off meeting in July which will determine how to proceed with the launch of the Scheme. During the event, guests were offered breakfast, lunch and tea breaks in between sessions allowing members of the audience as well as the presenters to interact with one another. The chief coordinator for the seminar, Dr. Sachetan Tuladhar concluded the Guthi Seminar by thanking members of the audience, presenters and all those involved to make the seminar a grand success. Presenters and guests were invited for a dinner at the end of the event and were bid farewell.